It was sent by my friend, Evyn, whom my daughter is named after. 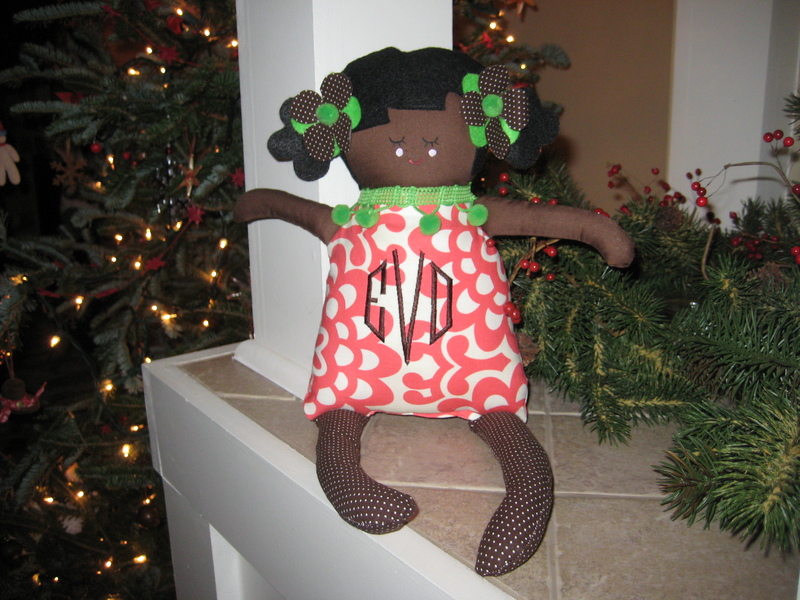 A friend of hers made the dolly and had Evyn Olivia’s initals monogramed. I LOVE IT!! Nash always makes me smile. He is at such a fun (and challenging) age. He is talking up a storm (non-stop talking!) and is full of energy. He has just recently got into dinosaurs. 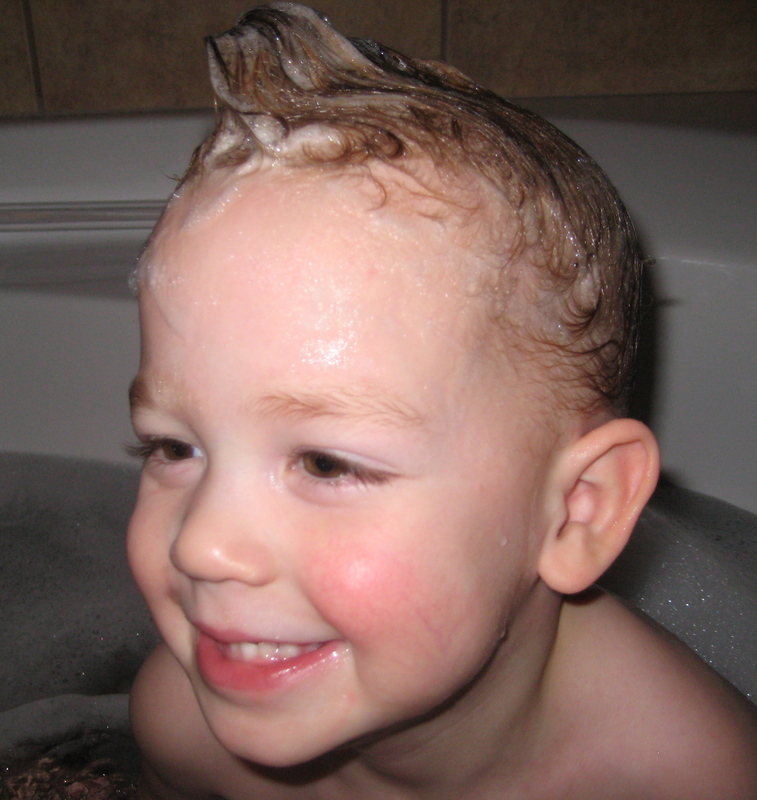 When I wash his hair and stick it straight up in the air he likes to pretend he is a dinosaur. It’s pretty funny and always makes me laugh. He is going to be an amazing big brother! Well, back to work! Just 4 days and we will be Ethiopia bound! Lots and LOTS to do before then! What a cute dolly!! Have an awesome trip! !